The 2 part main body fits our Indexing Tailstock Turret and is free to slide back and forth allowing the tailstock to locked in place during threading operations. 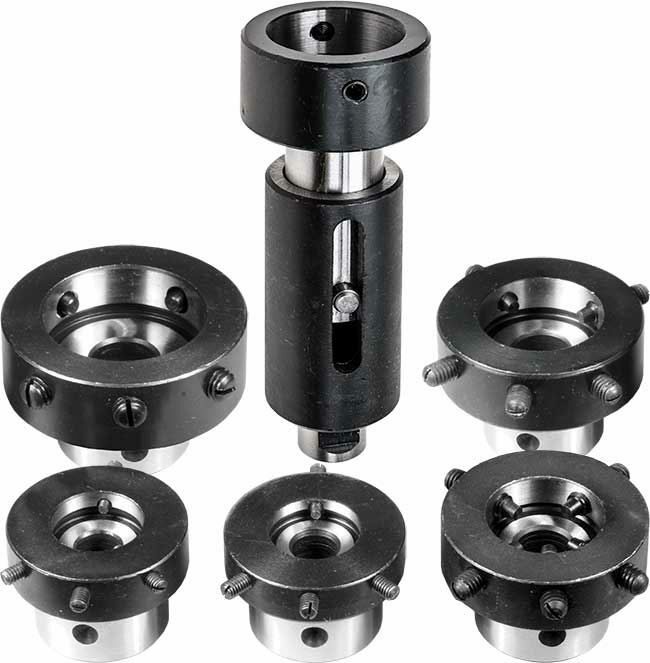 A set of 5 Die Holders in various sizes fit into the end of the main body. Note: The die holders are for metric size dies but could easily be turned to fit Imperial diameter dies if required.